For all those guilty of drooling over the fresh produce sprouting up in Philly’s many urban farms, it’s time to stop staring and learn about the roots of this growing movement. The Westphal College at Drexel University is hosting a special screening of two farm-focused films tomorrow, Feb. 7 at 6:30 p.m. First, watch "West Philly Grown," the story of West Philly’s own Mill Creek Farm, a community provider of organic produce and educational programs. 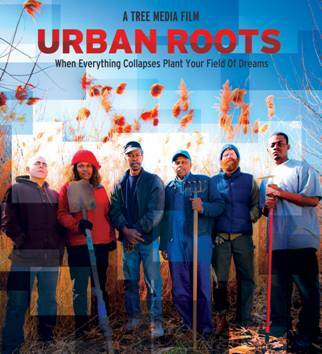 Then, stick around to learn about Detroit's urban farming scene in “Urban Roots,” which screens at 7:30 p.m. Once you’re thoroughly motivated to get digging, discover how to turn your farming dreams into reality with a panel discussion featuring leaders of the movement. Admission is $5 or free with a Drexel I.D. The screening is at Drexel’s Bossone Research Center (3140 Market St.).